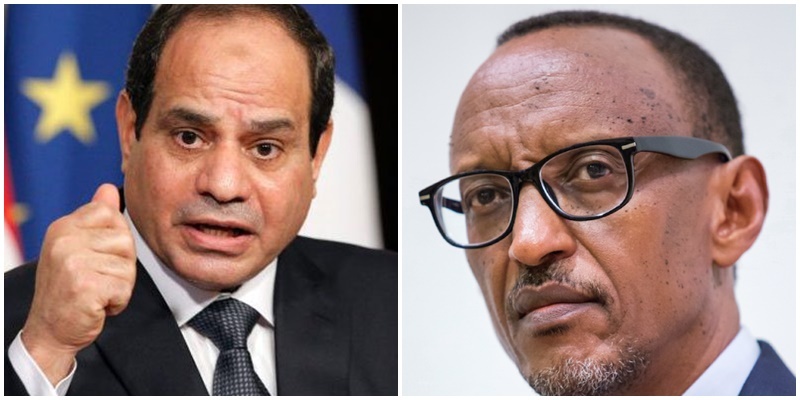 Rwandan President Paul Kagame, who led an active, reformist tenure as African Union chair, on Sunday passed the baton to Egypt, seen as more likely to focus on security issues than expanding the body’s powers. Egyptian President Abdel Fattah al-Sisi officially took over the rotating post of ceremonial head of the AU at the start of a two-day summit in Addis Ababa. The meeting highlighted the “links between the Mediterranean and Lake Victoria,” as a metaphor for sub-Saharan Africa. “Egypt has an interest in Africa, they want to strengthen their position on the African continent and they don’t want to be seen as a country only focused on the Arab world,” said Liesl Louw-Vaudran, an analyst at the Institute for Security Studies. Kagame’s leadership of the AU focused on institutional and administrative reforms. Sisi however is expected to focus more on security, peacekeeping and post-war reconstruction, issues closely tied to the AU’s 2019 theme of “Refugees, Returnees and Internally Displaced Persons”. “The road is still long” in terms of reaching the AU’s goal of “silencing the guns” by 2020, Sisi told delegates on Sunday. He announced he would hold a “forum for peace and development” in the town of Aswan, southern Egypt, in 2019.United Nations Secretary-General Antonio Guterres said Saturday that peaceful elections in DR Congo, Mali and Madagascar, peace deals in South Sudan and Central African Republic and the truce between Ethiopia and Eritrea, were however signs of a “wind of hope” on the continent.